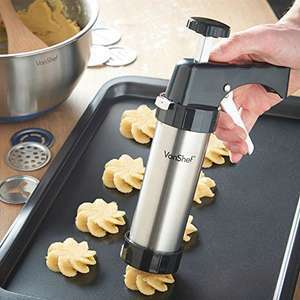 One of Amazon’s last minute Christmas deals, looks like a fun gadget for a keen baker. And £10 off looked like a cool deal. 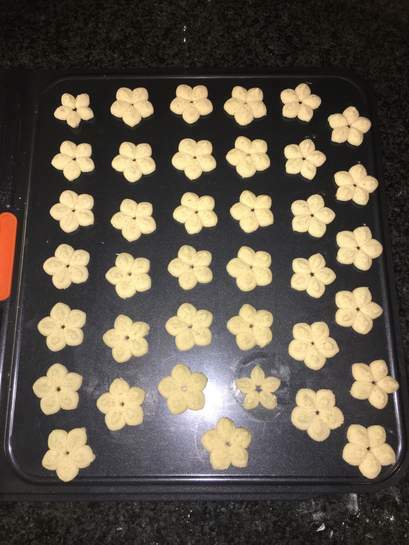 These are are the flower shaped ones. If you seriously think anyone could do that with cookie dough and a silicone piping bag you’re mad. 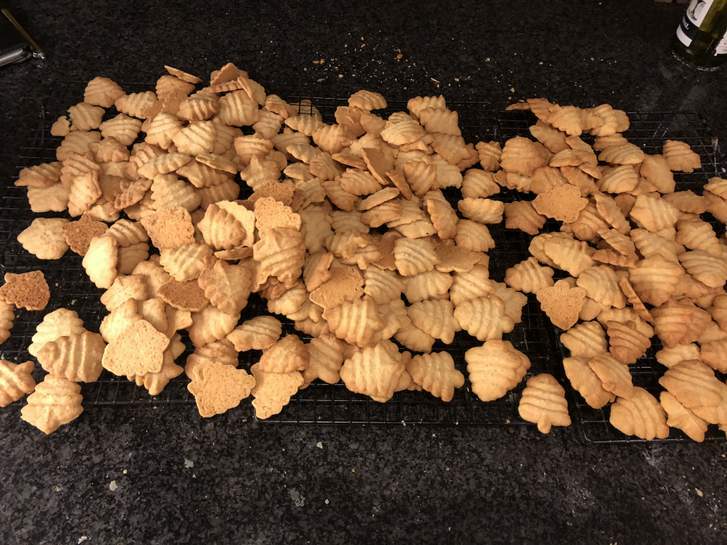 Plus no way would I have the time nor patience to regularly make these without a cookie gun; it’s time consuming and exhausting rolling out biscuit dough, cutting the shapes out, moving them onto a baking tray, re-rolling the dough, cutting shapes, moving onto tray etc. Life is too short for that, and I adore the recipe I use. They are far too delicious! You pop the cookie gun end down, click the trigger and repeat 200 times. I like the smaller one click biscuits rather than the double click ones. I’d rather eat two one click ones than one two click one. "I don't remember if I iced five cup cakes or six. 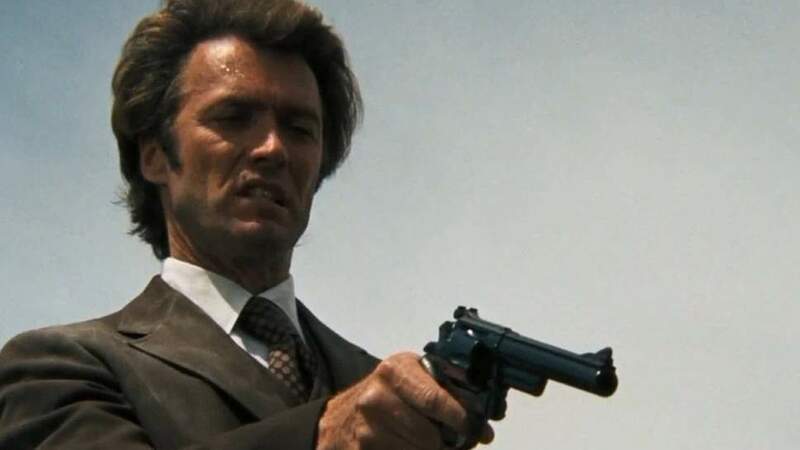 But being this is a VonShef Icing Gun, the most powerful cake gun in the world and would fill your mouth full up, you've gotta ask yourself is: Do I feel hungry?...Well, do ya, punk?" This is one I HIGHLY recommend, I have used it a lot and it is still working perfectly. Heat for the OP for bringing this to my attention, and kudos for the lower price. Dunno about this one but I've had 4 cookie presses and all broke after 2nd or third use in the same place. Not good at explaining but where it's supposed to click after each press and stop that bit no longer works. But you can use as an icing thing just can't use the cookie press function anymore. Really pretty biscuits when they do work though. a "keen baker" wouldn't use this disposable piece of crap. More plastic waste to throw away. Shame on anyone that buys this rubbish. a "keen baker" wouldn't use this disposable piece of crap.More plastic …a "keen baker" wouldn't use this disposable piece of crap.More plastic waste to throw away. Shame on anyone that buys this rubbish. A keen baker uses a Tesco carrier bag snipped at the end. Now that's taking recycling too far. Get a tube of silicone, empty it and fill with cookies etc and 3d print a couple custom nozzles... Magic! A disposable piping bag actually costs the same as a carrier bag these days. No sale. I’m a keen baker and use something like this for fun shaped biscuits. 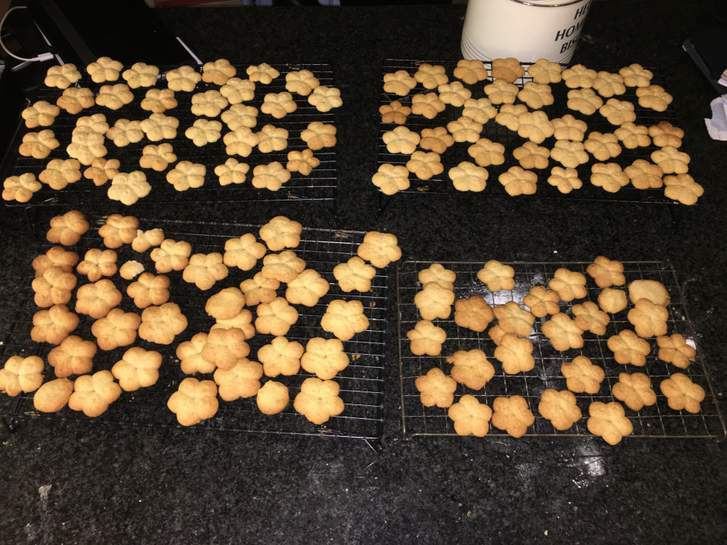 This year I baked 200+ Christmas tree shaped biscuits and gave them as gifts to people. No way would I be able to do them without the cookie gun! I’ll do a link to the one I have and the amazing recipe I use in a bit....I just need to find it! Will have a go with my new purchase, hope i can convert them easily. A disposable piping bag actually costs the same as a carrier bag these …A disposable piping bag actually costs the same as a carrier bag these days. No sale. I've gone through 200 and odd bags this year, cleaning out the cat litter tray bit gutted when my stash ran out. So I'll guess I'll just have to hop in my delorian. I've gone through 200 and odd bags this year, cleaning out the cat litter …I've gone through 200 and odd bags this year, cleaning out the cat litter tray bit gutted when my stash ran out. So I'll guess I'll just have to hop in my delorian. We all should have a delorean for these types of things. If you're a keen baker of course.